Virtual, Augmented, Mixed Reality and 3D technologies can be applied in almost any field. From retail, education, medicine to engineering, they can be used for product presentations, teaching new skills, treatment of phobias or for training employees in operating industrial machinery. VR is virtual indeed. With the use of a headset, users are immersed in a 360-degree view of a brand new three-dimensional environment. The idea is to convince the user that they have entered a completely different world, which is why the physical world is blocked out, not only in terms of views but also sounds. 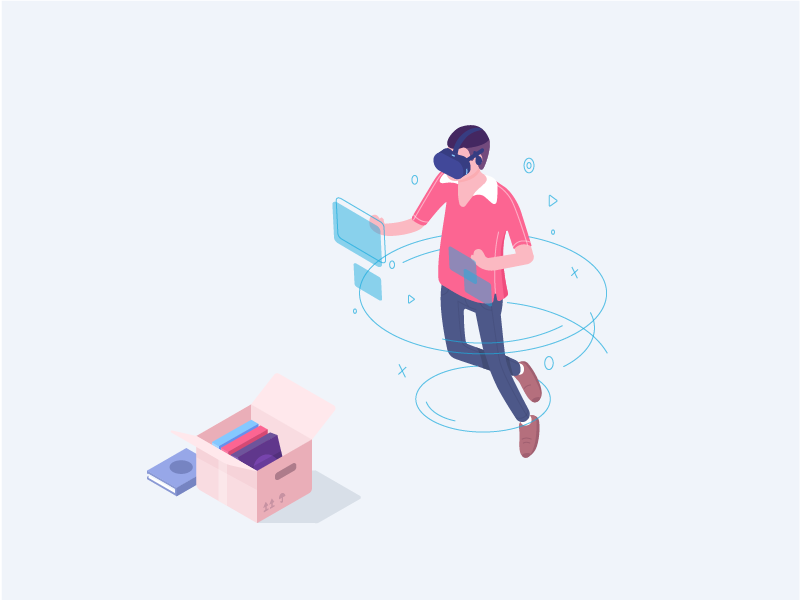 Instead of removing a user completely from the real world, Augmented Reality incorporates virtual content, like 3D graphics, or overlays onto the current view of the world. The content may provide the user with visual cues as to what surrounds them. MR has been labelled by some as the cousin of AR. Mixed Reality attempts to combine the best of the two – the AR and the VR, making use of the real world with a virtual overlay that users can interact with. Starting from the design stage, the 3D presentation system can be used as a tool to visualise your factory and consider the ergonomics of the production line. The next stage of using modern visualisation technologies is to create easily accessible tools to keep the whole company in operation by implementing Mixed Reality technologies. It allows supervising the operation of machines using predictive maintenance systems, where an employee can interactively check the condition of each machine using a mobile device. Training and examination of employees can also take place in a virtual work environment first and then on real devices. This is done using training applications in 3D environment and Mixed Reality, as well as through trainers and simulators. Product presentations and user manuals can now be done in a completely new and engaging way using computer browsers/ mobile devices (showing objects in 3D) or Augmented and Virtual Reality technologies. If you want to present your product as a 3D object, we can prepare a comprehensive solution in the form of an interactive 3D website or a dedicated application for a mobile device. Applications of this type allow presenting the product, its dimensions and configuration possibilities (e.g. colour change, padding, texture) in a dedicated environment, which allows the target audience to decide on a purchase, or understand how to use the product. Should you wish to present your product in a real environment, it is possible with the use of Augmented Reality. The user can see your product in the real world in a 1:1 scale using their own mobile device. Such a product can be displayed on the floor, on a wall or other surfaces. Product presentation can also be done in Virtual Reality environments which allow for visualisations of every product, from household appliances, through industrial machines to cars. The key element of the VR technology is conducting safe training on devices that may pose a threat to unqualified personnel. Using HMD helmets (e.g. Oculus Rift, HTC Vive) in a VR environment allows a trainee to perform tasks that they would have to perform on real equipment with no cost to health or machines in case of mistakes. Beyond this, Augmented Reality systems can be used for training: a user operating a mobile device or an advanced HDM helmet (Hololens) learns how the device works and what steps should be taken to get it started. The technology also allows creating an advanced system for solving common service problems. The AR system detects the geometry and recognises the device. A service technician will then be able to choose the problem from the list and the system, based on Artificial Intelligence, will indicate the most likely solution of the problem and visualise the troubleshooting procedure. Heavy-duty machines and cabin machines need a hybrid solution that combines the physical device and presentation environment (either in the form of a stereoscopic 3D image or a full VR environment). The solution to this requirement is trainers/simulators The operator of a crane or mining machine is trained in such an environment, allowing them to make mistakes and learn without risking injury to themselves, other people or the environment. The trainer (simulator) itself is built on a real control system integrated with the visualisation system, and additionally also with movable elements allowing simulating the behaviour of the real device (platform 6DOF, force feedback).